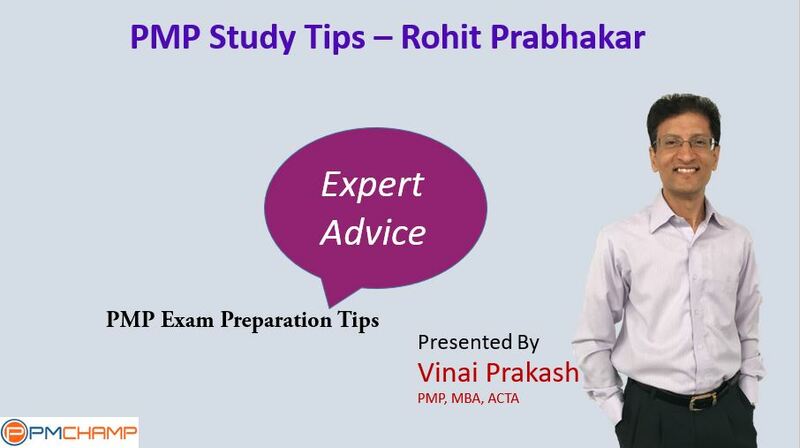 Tips from Rohit Prabhakar, PMP, on how he studied for the PMP exam in just 10 days. 12 hrs of no-study and good rest before the exam is highly important. Forget about what you do or have done in Project Management in your job. Think the PMI way only. Majority of the processes that we follow in our jobs are not what PMI teaches. Remember PMI teaches the best project management principles as per their standards and not yours. Read and understand the “Professional Conduct and Ethics” chapter. Take the ear plugs given by the center and plug your ears. I am glad that you liked and appreciated my notes and posting it on your site. Looking forward to help many in their journey to be PMP. You mentioned the material PMStudy provided you was very helpful. I see several different options on the PMStudy website (material for PMStudy EDU and PMStudy Plus seem applicable). Can you let me know which course from PM Study helped you the most?